Customs regulations in Finland for both EU and non-EU travelers are controlled by the Finland Customs Department. To make sure your arrival in Finland goes smoothly, here are the current customs regulations in Finland. Typical travel items like clothes, cameras, and similar personal goods normally used by tourists can be taken through customs in Finland duty-free, without having to be declared (= green customs line upon arrival in Finland, blue customs line for EU citizens). Going through one of those customs lines is for travelers without anything to declare, but customs does random checks. If they find something that should have been declared, you may be charged double the import tax. To avoid any surprises during those random checks, it is best to keep an eye on the amount of money and other things you are bringing into Finland. Here are the current regulations and limits. Finland customs allows travelers to bring as much currency as they would like. There are no restrictions. Yes, you can if you’re 18 or older. The allowable limit per adult is 200 cigarettes or 250 grams of tobacco for non-EU citizens. Travelers living in the EU have no restrictions on tobacco, as long as it’s a sensible amount for personal use. Can I Take Alcoholic Beverages? Yes. Customs lets you bring beverages with less than 22% alcohol if you’re 18 years old or over, and beverages with more than 22% alcohol if you’re at least 20 years old. Limit: 1 liter of spirits OR 4 liters of wine OR 16 liters of beer can be brought into Finland by one person of age. What Are the Customs Rules for Medicines? 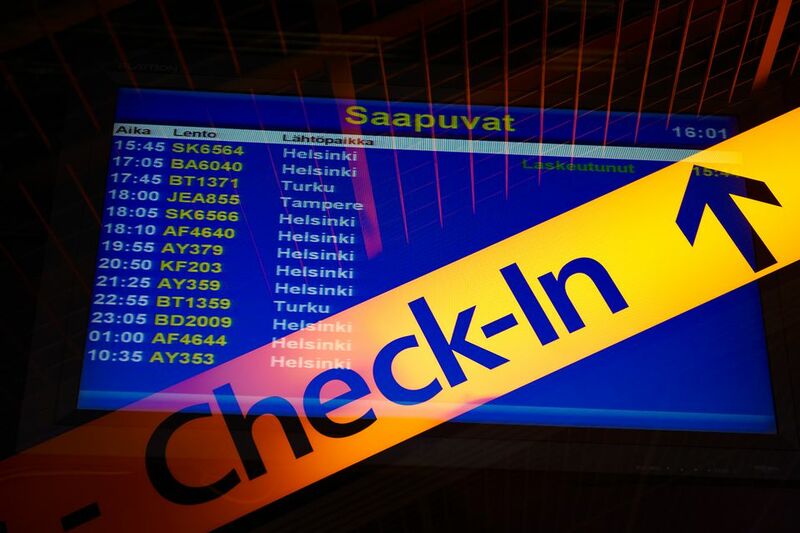 Finland allows travelers from the European Economic Area to bring personal prescription medicines (up to a one year supply) without a customs declaration. Travelers from all other areas or countries can bring a 90-day supply of personal prescription drugs to Finland. A formal doctor’s note may be requested by Finland customs officials. Some types of narcotics are more highly restricted, however. What Is Restricted by Regulations? Don’t bring illegal drugs, prescription medicines not for personal use or in large quantities, weapons (includes knives) and ammunition, copyright infringing works, plants, fireworks, endangered animals’ furs, exotic animals, and items made from such. How Can I Bring My Pet? If you want to bring your dog or cat to Finland, you must familiarize yourself with the requirements for traveling to Finland with pets. Keep in mind that customs regulations - whether in Finland or your home country (or in any other country) - are subject to change at any time based on local lawmaking and other circumstances, of course. The last word on customs limits and import requirements is always the official department, in Finland's case it being the Finland Customs Department. You can always contact the customs department's staff for official advice for your situation, either via their website, by phone in advance, or ask your questions in person at a local customs office or the airport upon your arrival.